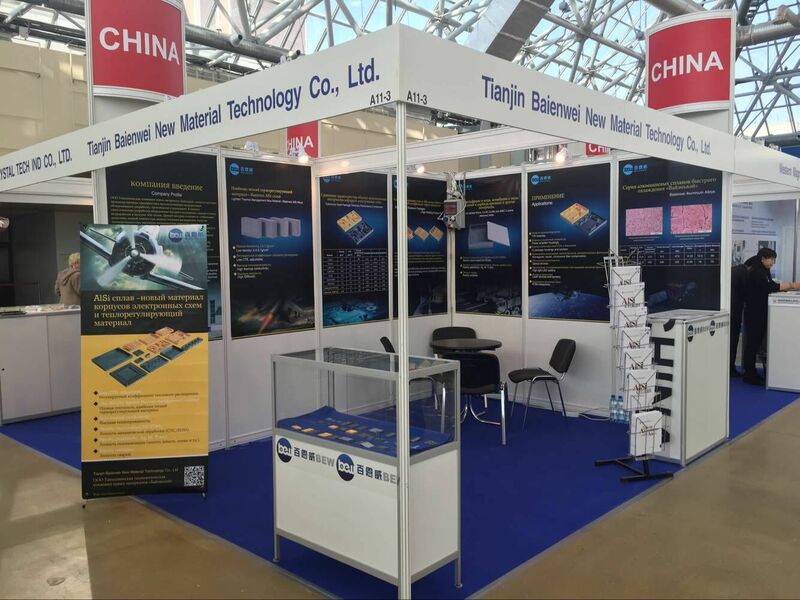 The New Electronics exhibition we attend reached a successful effect. As a professional supplier and exporter of the AlSi alloy material, Baienwei showed its perfect products and advanced technology to the customers around the world. The main products for the Baienwei are AlSi alloy, aluminum auto Parts, aluminum drilling pipe, electronic packaging material and others. Here are some pictures of this exhibition.